You know that idea you in the back of your mind. Maybe it’s that perfect play, book, or song. The one you think about in the middle of the night when you can’t sleep. The one you promise yourself that you are going to write one day. Allan Linder is making good on that promise. He is releasing a graphic novel that he’s been working on for sixteen years. Something like that should always be celebrated. 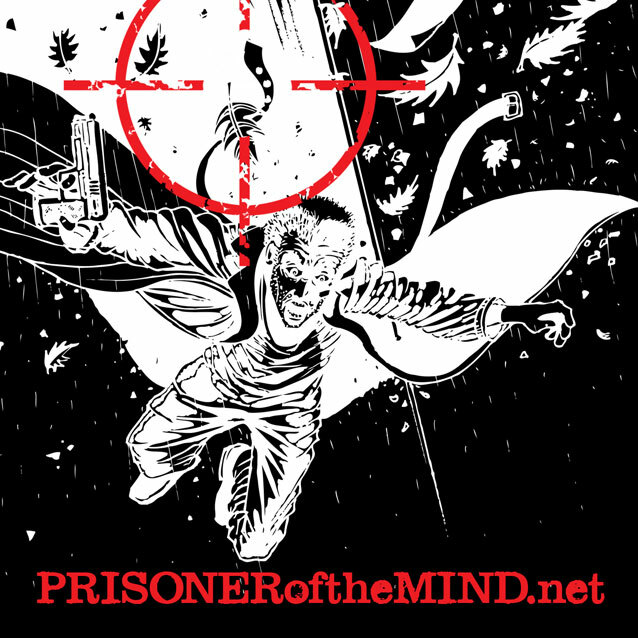 The story is called Prisoner of the Mind and starting October first you can check out the first issue completely free. 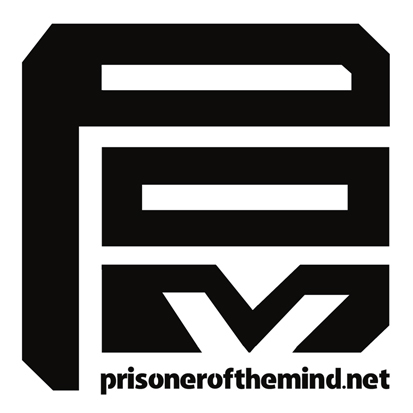 Prisoner of the Mind is described as “a neo-noir thriller set in the near future.” The story centers around a government agent on the run from his own agency after he finds out a secret so important that the agency is willing to kill him to keep him quiet. Are you intrigued? Do you need to see more? 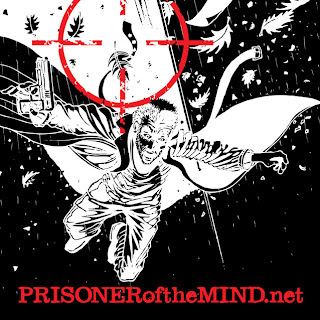 Check on Prisoner of the Mind’s website here and remember the first issue will be up Monday. Happy Flash Friday everyone! Today’s topic is about the Flash, but it needs a bit of setup before I jump into it. Today’s topic is about how long I’ve been reading comics and how long I’ve been rushing to my local comic shop. I’ve mentioned before that my love for the Flash started with a tiny comic packaged with some candy. But I was really young then and my comic buying was completely at the whims of my family. It was probably around middle school when I became a comic collector. There was a drug store on my way home from school that sold comics. I was grabbing the Flash of course, but that was also when I discovered the New Mutants. 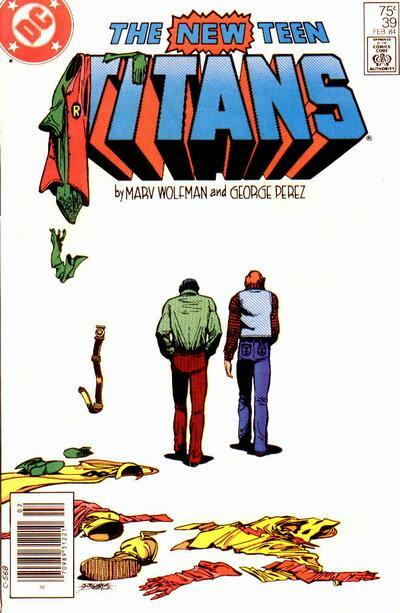 At that point I didn’t really pay attention to DC outside of the Flash; I had gone down the Mutant rabbit hole. My parents would go to this large flea market about once a month. It was there that I discovered my first comic shop. Suddenly I had a place that would hold my books for me, which was important when I didn’t have a way to get there on my own. That comic shop got big enough to leave the flea market and opened their own shop right about the same time I got old enough to drive. Image was happening and I fled the stacks of X-books and Ghost Riders crossovers for just about anything that said Wildstorm. Wildcats, Stormwatch, Backlash, Team 7, Gen 13, DV8s, etc… I was buying a lot of comics. I kept up with the Flash during all of this. Eventually I signed up for the Military and ended my pull list. I went probably two years without collecting at that point. I don’t know why exactly, I still liked comics. Playing in a superhero themed RPG got me started back up again. I quickly caught up on Flash, Impulse, and Starman. I figured, I could hold myself to just three titles. That didn’t really work. Once I was out of the service and working back in my home town I had a giant collection again. Then all of the DC Crisis stuff started happening and I started enjoying things less and less. I’ve been pretty disappointed in DC since the new 52, because it isn’t what I want out of those stories. Which is why I’m currently looking at the Flash and saying, why am I still buying this? Regardless of what is happening in the comics now, he’s still my favorite superhero. No current book can erase the hundreds of stories that I love and are currently sitting on my bookshelf. I have about 3 months of back issues that I’m going to pick up this weekend. I think I’m going to sit down and read the entire new run of Flash as one story. After that I’m going to be honest with myself, if it isn’t what I want I’m going to stop collecting the Flash comic. This isn’t the end of Flash Friday, like I said above this doesn’t change how I feel about the character. 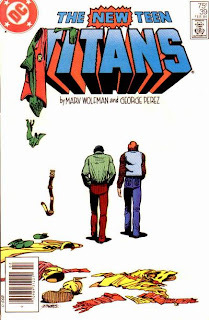 Next Friday I’ll probably talk about my thoughts on the current run as a whole and what decision I’ve made. It’s strange how hard it is to stop collecting something once you’ve done it for a long time. I just need to figure out if I’m collecting the Flash comic because I want it for the collection or if I enjoy it. It’s Hangover Thursday, how’s your head? Even though I had a couple of drinks last night my head is still pretty clear this morning. I have some family in town so last night I had to make the journey deep into tourist country and brave the Disney area. Dinner was down at Disney’s Boardwalk which to me means the Big River restaurant. Besides serving food Big River also brews their own beer. Even though I think I’ve had it three or four times already, I ordered their sampler. I mean why have one beer when you can try all of them? For me the stand outs were their seasonal Octoberfest, the Brown Ale, and the Rocket Red. 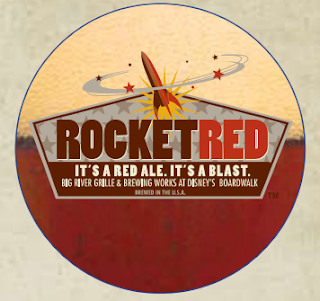 Rocket Red is probably the best beer they currently have on tap. The company used to make an Espresso stout that was just ridiculously good, but I haven’t seen that one in a very long time. On an almost related note, Big River makes a beer cheese soup that is even better then all of their beer. So if you end up at Disney World, spend one night at the Boardwalk and treat yourself to a few beers. 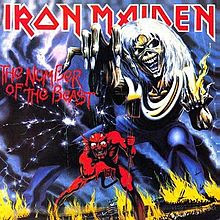 In news completely unrelated to beer, today’s Hangover Thursday is post number 666 on That F’ing Monkey. I felt that was worth mentioning. The things people are able to do in the game Minecraft never ceases to amaze me. 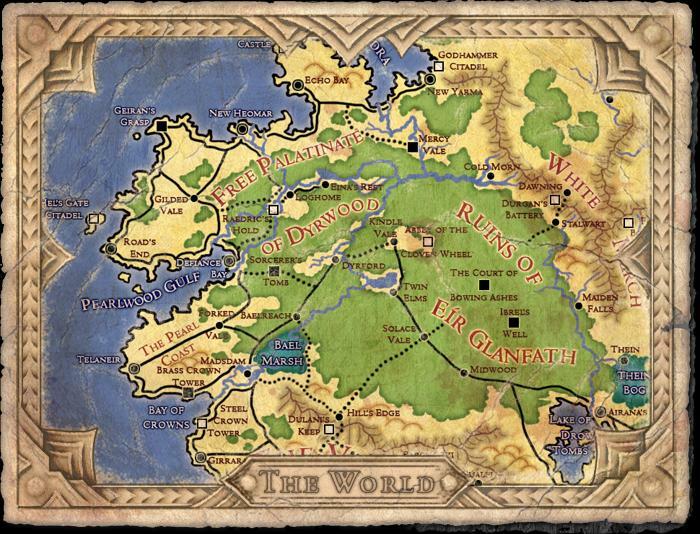 I’ve seen recreations of other video game levels, giant space ships, and even the Shire. Today’s video recreates the Battle of Hoth. Remember this is all done in Minecraft, a game where you basically stack different colored boxes on each other. Also worth noting is that the author of the video and the Minecraft level says that it was all done by hand. There are building mods out there for Minecraft, but ParadiseDecay just used the standart 1.4 version of Minecraft. Earlier this week Ben Folds Five released their new video of the song “Do It Anyway.” I have to admit I’m not a giant fan of Ben Folds, so this wasn’t something I was anticipating. But if you fill a video full of Fraggles I’ll watch it. It’s not just Fraggles either, this video is full of people I like. I usually prefer Muppet Show stuff to Fraggles. There was a traveling Jim Henson exhibit a few years ago. My wife and I downloaded the podcast tour and spent about 2 hours walking around. It was laid out chronologically, so the Fraggle portion of the exhibit was at the very end. Of course the podcast was talking about the Jim passing away. So there we are, both wearing headphones, staring at puppets, and crying like babies. I appreciate Fraggles much more now that I know how much they meant to Jim and after reading how they were presented in other countries. No Flash Friday this week, I realizeThat F’ing Monkey gets the most traffic on Fridays and this one is pretty important. On September 18th a book titled Life After Death was released. 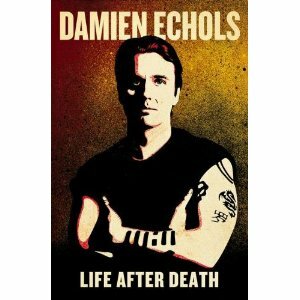 The book is written by Damien Echols. You may have heard about Damien, in 1994 he was one of the teenagers wrongly convicted for the murder of three boys in West Memphis Arkansas. 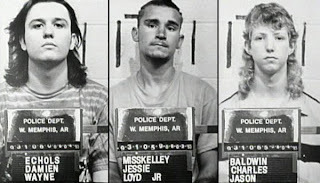 The teens became known as the West Memphis Three. I first heard about the case the same way most people did, from the HBO documentary Paradise Lost: The Child Murders at Robin Hood Hills. I saw a lot of myself in the kids that we locked away for life. My teenage years were full of heavy metal music, black trench coats, and drawing pentagrams on everything. Had something like that happened where I lived, I could just as easily been in the same situation. I devoured the book The Devil’s Knot, wm3.org became a daily stop, and I bought all the merchandise that was going to support the legal funds. In 2011 the three entered an Alford plea. It doesn’t completely clear them from the crime, but it does gain them their freedom. After 18 years the West Memphis Three were out of jail. Damon’s new book doesn’t dwell on the case itself; there are plenty of places to get that information. It does deal with his childhood and his experiences within prison. Obviously there is a lot of dark things in this book. You can’t write about 18 years in prison and make it all happy, but there is a lot of hope in there too. With the story of his trial and his prison sentence behind him, I can’t wait to see what Damien comes up with next. So what should you expect? I won’t lie; it’s going to be a strange ride. The strip is a mix of real photos, art, and scribbles all mashed together. I am not a great artist, but I’ve been playing around with this technique and I think it works. 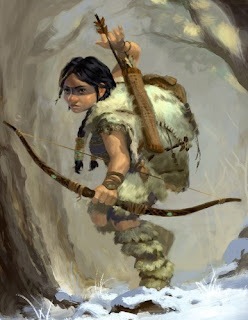 The strangeness of the designs will match the story. The above teaser was done pretty early in strip's progress, so don't expect that to be Kid's final design although it is pretty close. I’ve wanted to add a web comic to That F’ing Monkey almost since we started, but it’s hard to convince people to draw for you when you can’t pay them. I think I should be able to keep up with a once a week schedule; if for some reason a strip is not ready I plan on having an article about a character, object, or city. 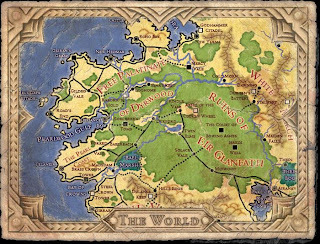 That way you’ll still get a dose of the world and it will help expand the setting. I think it goes without saying that this is going to be a grand experiment. It is quite possible it crashes and burns, if it does feel free to point and laugh. The NHL wants to break my heart again this year. There is still no end in sight to the lockout. This is the third time the NHL has had a lockout since Gary Bettman became the NHL commissioner. I still hope there will be a quick solution and we don’t lose any of the actual season but it looks pretty grim. That doesn’t mean I won’t be watching hockey though. 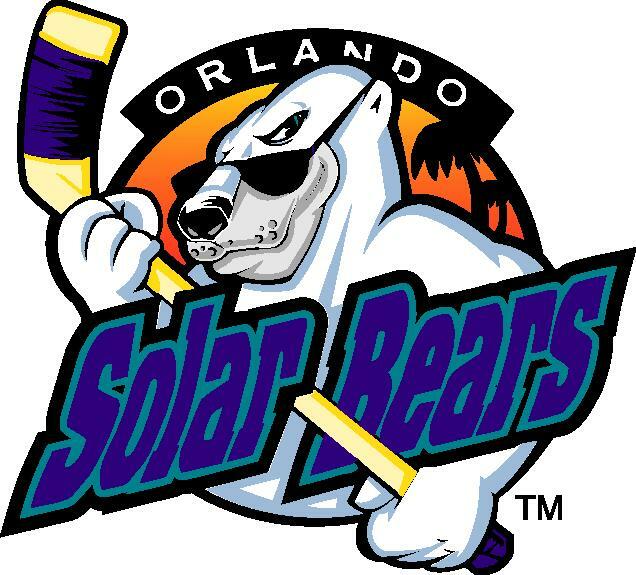 The ECHL Solar Bears will be playing in Orlando this year. I realize this is not major league hockey. As with all sports, there is a big difference between the play in a minor league game and a major league game. It doesn’t matter though, I love watching hockey live. I’m even happier when I can get a ticket for 20 bucks too. 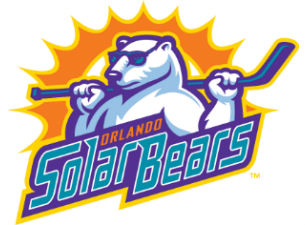 I already love my new team because they took the name of Orlando’s old IHL team. I still remember when the name Solar Bear was first announced. Too be honest I didn’t care for it much, but after six years of fantastic hockey I grew to love it. Now the Bears are back and I can’t wait until October to see them drop that puck. Does anyone else have their Hockey backup planned out? What’s your favorite minor league hockey team? As a Wings fan I also have to state that I love watching some Grand Rapids Griffins. 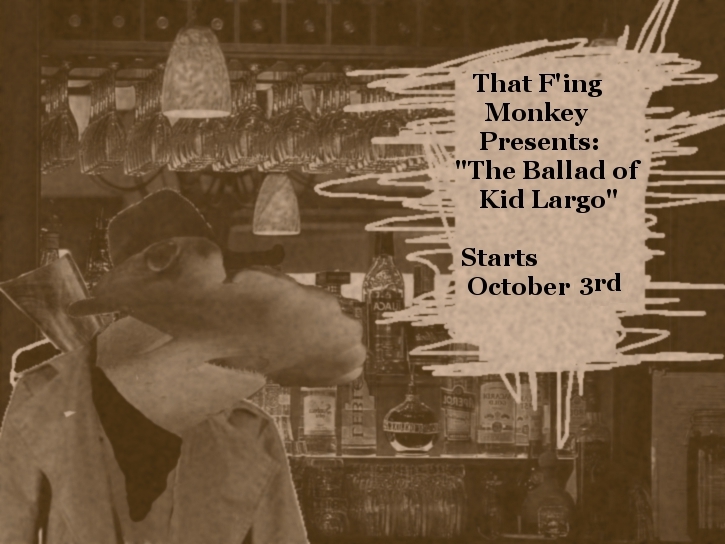 That F’ing Monkey is back! Did you miss us? I have to admit that even though I was very stressed during the break there were many times things popped up that I was dying to talk about on the site. Also, I came up with a new addition to the site that we’ll be talking about soon. But today, today we’re talking about Robocop. Because I love Robocop. Robocop came out in 1987. I wanted to see it in the theaters, but I had to wait until 1988 when it came out on VHS. I would have been 11 when I bought the VHS tape. 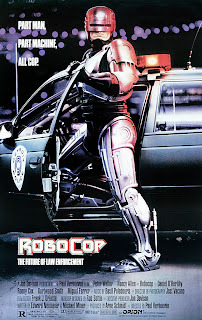 That first summer I watched Robocop every day of summer vacation. If I was home, before I did anything else I watched Robocop. I still remember getting caught by a friend’s mom when we snuck into Robocop 2. It might have been that I was from the Detroit area, but I just connected to Robocop. Toys, video games, and comics; I loved all of it. The news of a remake didn’t thrill me, but I was cautiously optimistic. We have to be honest here, the second movie was very flawed and everything that followed it got progressively worse. So I wanted to see the remake do well, but I was bracing myself for disappointment. Well I got it. 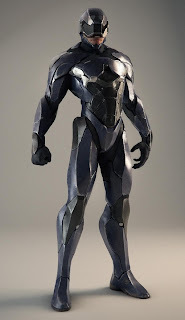 Above is the picture of the new Robocop. So bland. He looks like a generic video game bad guy, an extra from Tron, or one of those suits in the first GI Joe movie. One of the most iconic designs I know had been replaced by one of the most generic. I’m actually sad. 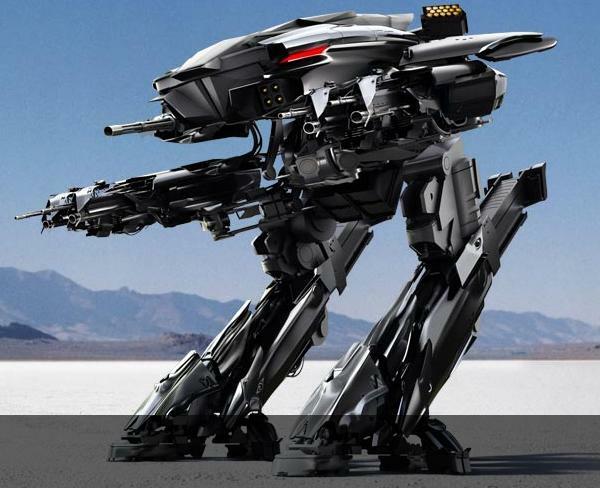 Don’t thing that ED209 gets any better treatment. The fantastic looking robot in the first movie gets a makeover that would make it look at home in the Transformers movie. Jagged lines are everywhere. The original looked like something that could actually be built, this design looks like something that crashed to the earth. Happy Flash Friday everyone! There isn’t much of a Flash Friday today unfortunately and that’s what we’re going to be talking about. Right now Brandon is in the middle of some things that are keeping him away from the website until he gets settled again. Late this week real life dropped some bombs on me as well. I’ll make it all work, but I can’t say it is making me feel very creative. Don’t worry; I’m not quitting or anything. I am just going to take some time off. I need to focus on some things that needs taken care of, and hopefully I’ll come back feeling recharged. 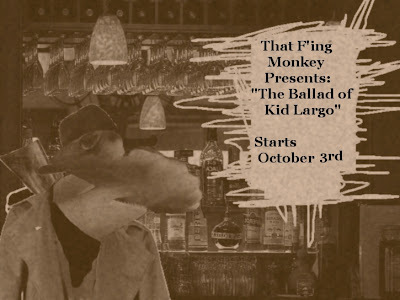 New updates to That F’ing Monkey will return September 18th. It’s Hangover Thursday, how’s your head? I’m feeling fantastic, but that’s because I got all my drinking done Monday night. I hit a good number or ports and stouts that I’d never had before that night. I’m really, really distracted with work right now but I did want to mention one beer in particular. 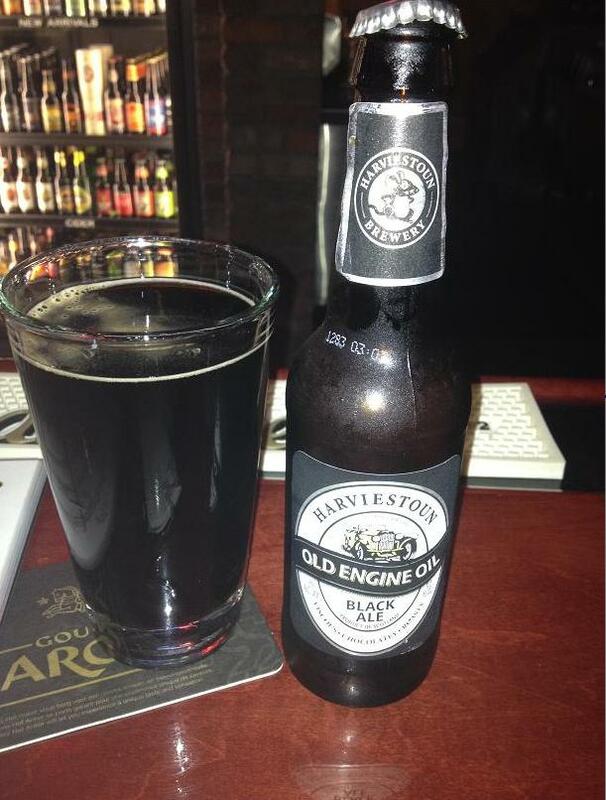 Harviestoun Old Engine Oil. 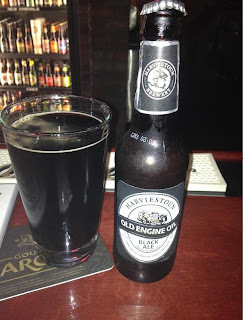 Brewed in Scotland this English style porter has a 6% abv and tastes fantastic. Obviously the fantastic name made me want to try it, but it is a really enjoyable beer. It’s as dark as its name with a slight coffee smell. With that name you expect it to be a thick beer, but it’s not. Seriously one of the more enjoyable beers I’ve had in a long time. If you get a chance to try it I highly recommend it. Remember last week, when I said I was really busy and posted the video for the song “Llama School?” I ended that post with “I miss Sifl and Olly.” I no longer have to miss them, because they are coming back. Seriously, I wish I could say I knew about this the whole time and that’s why I posted the first video, but I had no idea this was coming. Watch the below video for details. Last June I was excited to talk about a game called Cards Against Humanity. It’s a delightfully simple game that lets you and your friends celebrate how offensive you can be. One player lays down a card with a question on it. The other players then go through their cards and each play a card to answer that question. Sometimes it’s nonsensical, sometimes it’s vulgar, but it is almost always in bad taste. My friends and I love it. We may be horrible people. I was excited when they released their first expansion in November. It was quickly order, the new cards were mixed in with the old, and we horrible people in new ways. 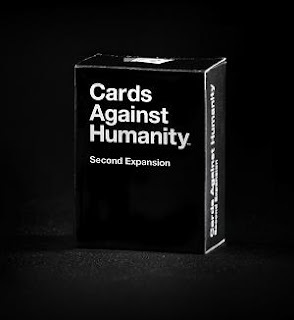 I have fantastic news, because the second expansion has just been released. There are 100 brand new cards and 12 blank ones. The blank cards are great because you can fill in your own group’s in-jokes. I know I’ll be ordering my set very soon.